Charity report calls for urgent action as the vacancy rate in children’s hospice nursing rises. Children’s hospices are struggling with a shortage of nurses that is forcing cuts in palliative care services, a survey shows. A survey of 24 UK children’s hospices by the charity Together for Short Lives shows the average nursing vacancy rate was 11% – or 130 full-time equivalent posts – in mid-December. This represents an increase of 1% on the same period a year ago and is 2% higher than the overall nurse vacancy rate of 9% in England, Northern Ireland and Wales. Meanwhile, the number of children and young people using hospice services is increasing, according to the report The State of the UK Children’s Hospice Nursing Workforce. Together for Short Lives chief executive officer Barbara Gelb called on the UK’s health workforce planners to find a way to boost the supply of children’s hospice nurses. ‘I am deeply concerned by the nursing shortages we have found. It’s a growing problem and it’s shocking that children’s hospice services must reduce vital services as a result. They provide lifeline palliative care to Britain’s sickest children, helping to manage their pain and symptoms, and maximising their quality of life and end of life care,’ she said. The survey found many hospices find it difficult to fill nursing posts, with one in four posts remaining vacant for a year. There is also a worsening shortage of experienced nurses, especially those at salaries equivalent to Band 6, who look after children with rare and complex health conditions. Nearly one fifth (17%) of hospices say they have been forced to close beds and 58% report having to reduce the duration of breaks offered to families. 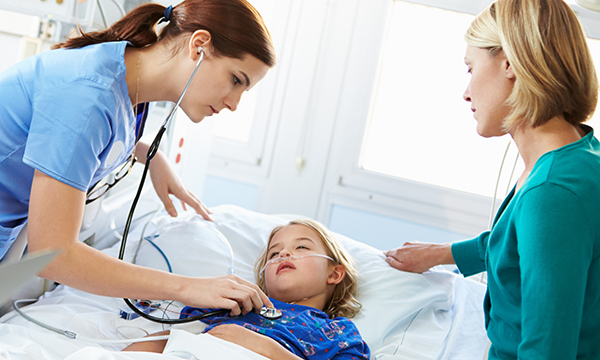 The charity also surveyed undergraduate degree courses in children’s nursing and found one quarter had not drawn up children’s palliative care competencies for students.